You are going to Watch Naruto Shippuden Episode 105 English dubbed online free episodes with HQ / high quality. Stream Anime Naruto Shippuden Episode 105 Online English dub The Battle Over the Barrier. Guren heads back to the lake with Yūkimaru and Kabuto to stop the sealing. 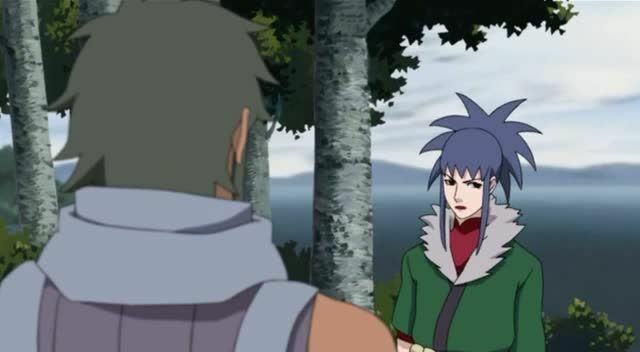 With Rinji’s help, she manages to disrupt the jutsu, and the beast begins attacking the ninja on the lake. As the beast tries to attack Guren, Yūkimaru uses his power to make it stop, and Orochimaru’s plan is revealed to have been to manipulate Yūkimaru to love Guren and willingly use his power for her. Tobi, noticing the beast, goes to bring Deidara to it.